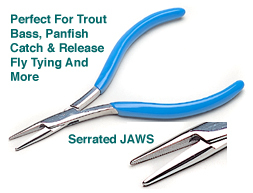 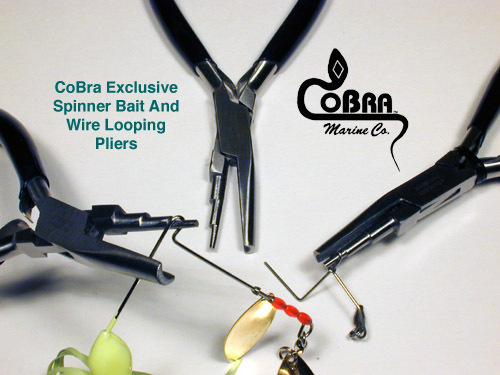 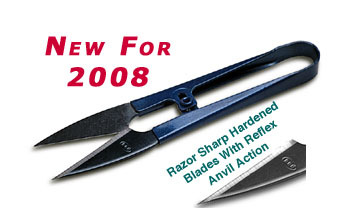 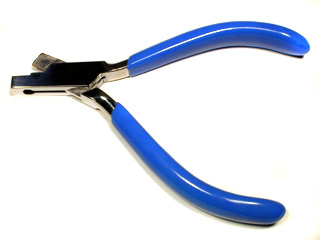 The Exclusive CoBra JAWS Spinner Bait and Wire Looping Pliers is another Top Tournament Professionals secret for the ultimate ease when building or repairing Spinner Baits, as well as any outdoor, hobby, household, or general purpose use, where 90 degree and 360 degree full round wire bends are needed. 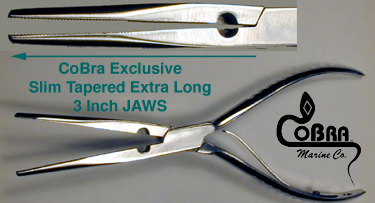 This patented design eliminates nicks in the wire that can lead to compromising the wires tensile strength resulting in breakage. 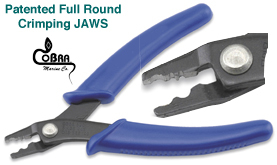 Three positions provide 1/8" - 3/16" - 1/4" and larger bends or coils. 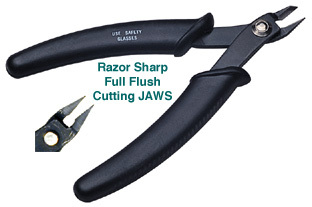 Finely polished Surgical Stainless to protect the wire with full box joint construction for long term durability. 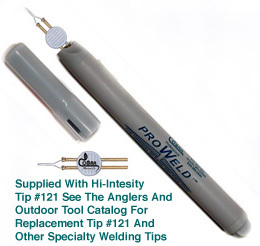 Perfect for Making & Repairing your own Spinner Baits or Fine Tunning or Repairing Spinner Baits on the water.